Jonathan Weiner is a professor of health policy and management at the Johns Hopkins Bloomberg School of Public Health in Baltimore. He is also a professor of health informatics at the Johns Hopkins School of Medicine. He is the director of the newly formed Johns Hopkins Center for Population Health Information Technology. Dr. Weiner is an internationally regarded researcher, consultant and lecturer. He has consulted with government and private agencies around the globe. 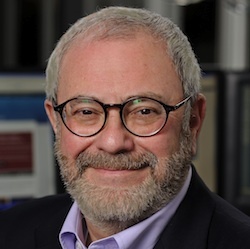 Professor Weiner’s current work focuses on the application of electronic health records (EHRs) and Health IT for population based applications within communities and integrated delivery systems. He is the co-developer of the Johns Hopkins ACG case-mix / predictive modeling tool now widely used in more than 18 nations to measures health status of populations and to identify high risk persons in need of care management interventions.